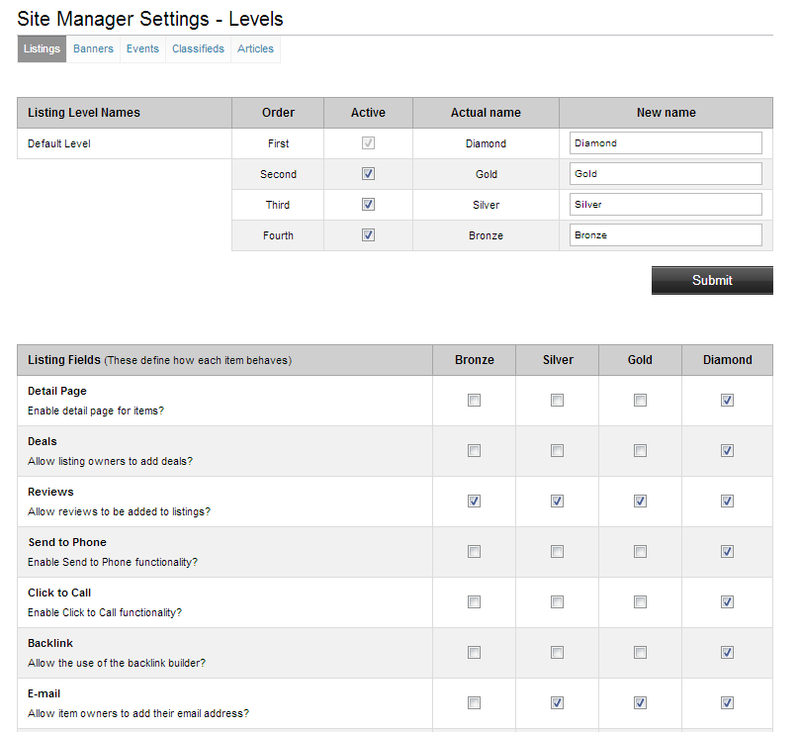 We have a great new feature in version 9.8, the ability to edit features at each listing level. It is available for Listings, Events, Classifieds, Banners and Articles. Do you want your Diamond level to be able to add 5, 10 or 20 images in their gallery? Do you want a URL on even your basic level? You can now set the options without any code customizations. What you change here is automatically updated in your Advertise page. And don’t forget that you can still change the level names and enable or disable any of them. Note If you do not yet have version 9.8, contact support@edirectory.com to enquire about an upgrade.